Health Costs > How Much Does Stem Cell Therapy Cost? American clinics, on average, charge close to $10,000 per treatment, but some clinics have reduced their costs to as little as $7,000, according to Ipscell.com. While it may seem cheaper to go outside of the United States, this isn’t always the cheapest route, either. In fact, it can cost as much as $20,000 to more than $100,000 in foreign countries. The costs, in the end, will depend on the type of stem cell procedure, the doctor’s reputation, the local cost of living and where you go. To budget, plan on spending $4,000 to $15,000 per treatment. Because stem cell therapy is considered experimental and isn’t FDA approved, no health insurance companies won’t cover the procedure. Stem cell therapy refers to a non-invasive procedure where stem cells are harvested from either your own body or a donor’s body and then injected into the damaged portion of your body to help it heal. Damaged body parts commonly include the elbow, back, hip, knee or wrist. Unlike the past, when embryonic stem cells of yore were used, today, only adult stem cells are used. Before a doctor even considers the therapy, he or she will want to see a recent x-ray and/or MRI and your medical records to see if you’re a candidate. 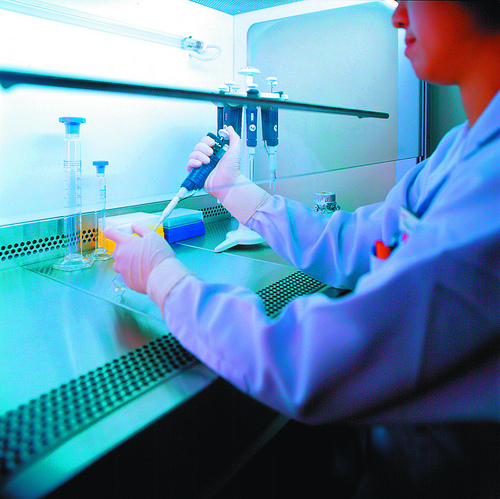 Many cities across the United States offer a stem cell treatment center. To find one, a search “stem cell therapy” and your city name on Google. For example, Regenexx has close to 30 facilities in the United States. In Europe, doctors are allowed to multiply stem cells, referred to as “expanding,” before injecting them into you, which is something doctors are not allowed to do in the United States since the FDA forbids it. Even though this may change, the biggest advantage to expanding is the convenience because you’re able to receive the stem cells from another person. Aside from helping an injury, it has been reported stem cell therapy can help regrow hair, Alzheimer’s disease, muscular dystrophy, ALS, COPD, blindness, Crohn’s disease, and Parkinson’s disease. Joint injection plus storage for future treatments if needed.